My wrist is a lucky one as I get to test a lot of seriously brilliant wrist watches. Whether it’s the understated Galet Square Tourbillon Double Spiral from Laurent Ferrier, the magnificent Datograph from A. Lange & Söhne, the ultra-thin and über-clean Piaget Altiplano in white gold, or even the € 60.000 Euro impressive Grand Seiko Spring Drive 8-Days, I get to test (and enjoy) some of the most spectacular timepieces of our time. 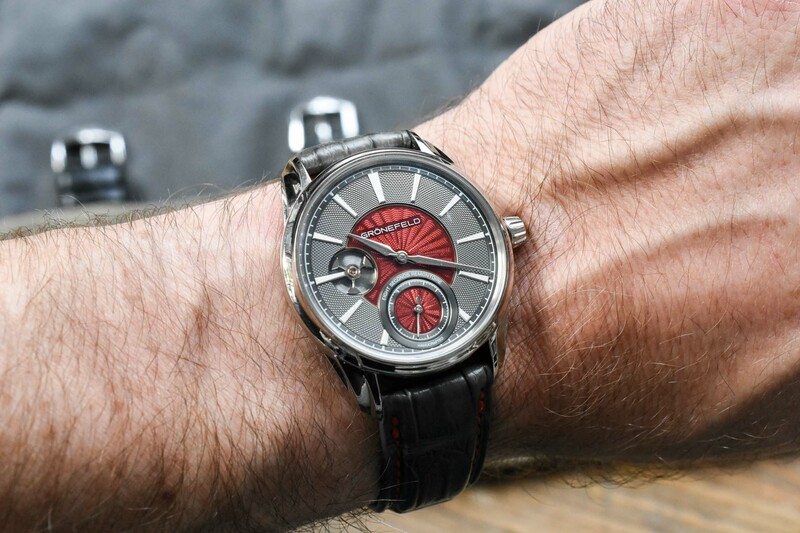 When I got the call from my fellow countrymen Bart and Tim Grönefeld, that they finally secured a 1941 Remontoire for me to test, I was delighted and excited. Here are my thoughts on the Grönefeld 1941 Remontoire that now also comes with bespoke dials featuring guilloche and translucent enamel. It’s quite something when two of your fellow countrymen win a prize at the GPHG, not for the first time, but for the second time, and it should be noted that I’m from the Netherlands (and thus not Swiss.) The first major prize they won, was the Timezone Watch of the Year award and we celebrated that in style (and with a few pints of beer.) 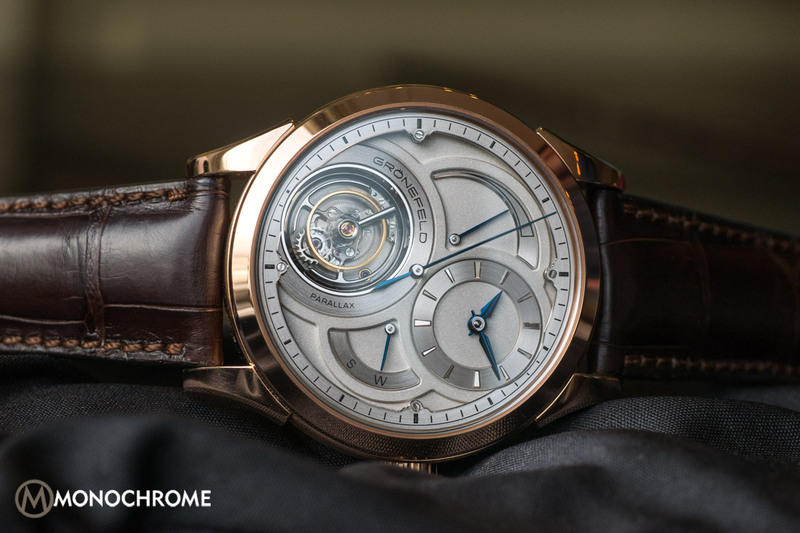 Three years later, in 2014, their Parallax Tourbillon won the prize for Best Tourbillon Watch at the GPHG and, as already mentioned, last year they won the prize for Best Men’s Watch at the 2016 edition of the Grand Prix d’Horlogerie de Genève. Very impressive! Earlier this year Grönefeld introduced bespoke dials for the 1941 Remontoire, coming from Kari Voutilainen’s workshop, and that was (yet) another good reason for us here at Monochrome to take a really close look at what so much of horological goodness combined, looks like and wears like. 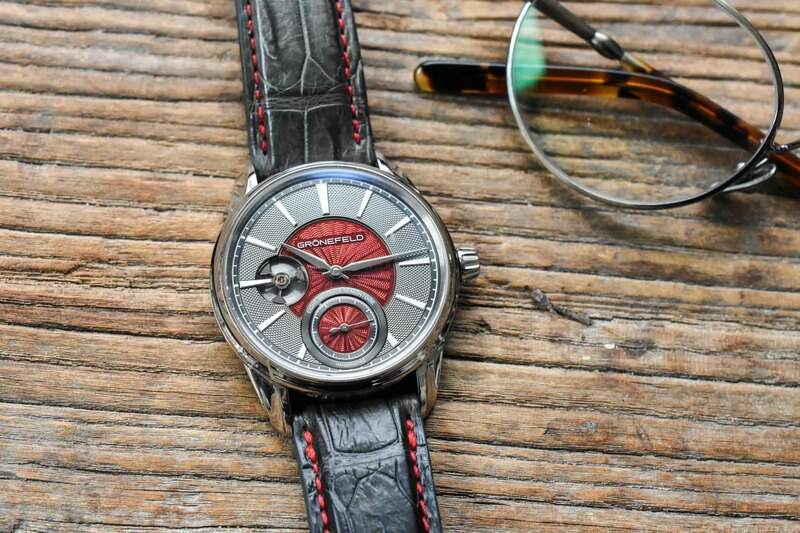 As of this year, the 1941 Remontoire is available with a bespoke dial, manufactured in Kari Voutilainen’s workshop. The guilloche is a perfect showcase of proper craftsmanship, and the translucent enamel center of the dial (and seconds sub dial) is mesmerizing! In all humbleness I’d categorize any watch made by Bart and Tim Grönefeld as best of class, and among the best you can buy. 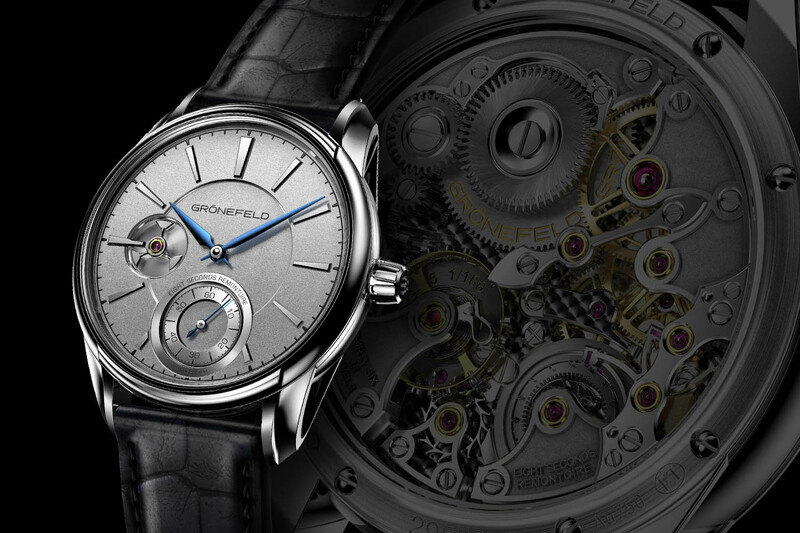 The Grönefeld 1941 Remontoire starts at a very friendly price of €44,990 EUR (before taxes) for the steel version. Especially when you consider all factors: very exclusive (maximum 188 pieces will ever be made), hand-made, unique stainless steel bridges, best of class finishing, a very unusual complication (Remontoire combined with governor), a rather complex (and good looking) case to machine and to finish (by hand of course) and on top of that the possibility to order a bespoke dial. The hands are so-called extended lancette hands, and they are executed in hand-polished steel with mirror polished centres. The small poised seconds hand is also in steel and hand-finished to perfection. The case on itself is already a piece of art. When you consider that multiple axis CNC machines can do a lot, however curves, hollow lugs and a concave bezel are things that a machines is simply not good at. Such shapes need a (skilled) hand with the correct tools. The case is available in rose and white gold, and in stainless steel. Some collectors prefer stainless steel over precious metals, because it’s stronger, more scratch resistant, and also because it’s considered to be more discrete. The finishing is superb, however difficult to catch on a photo. When you handle a watch like this you’ll immediately see and feel what I mean. The crystal is a domed sapphire crystal that comes with hard antireflective coating on both sides, and on the back is a flat sapphire crystal also with hard antireflective coating on both sides. 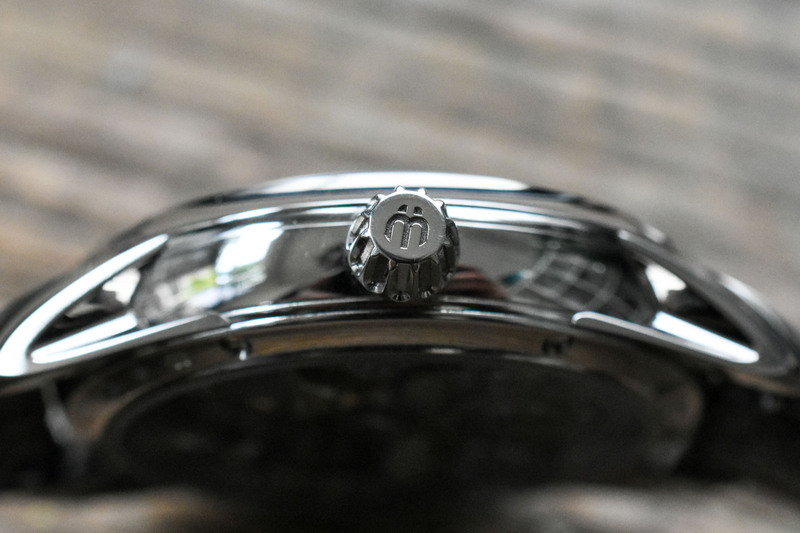 The crown is engraved with the Horological Brothers’ logo. With a diameter of 39,5mm and 10,5mm thick, it wears very comfortable on the wrist, and due to the shape of lugs and the case back, it sort of hugs the wrist. Very comfortable! In terms of shape, and finishing, this is no simple case, and it’s also good to note it comprises no less than 66 individual components, including 8 white gold security screws to secure the case back. The 1941 Remontoire comes on an alligator strap with alligator lining, and will match the watch’ design and the wishes of the customer. Matching red stitching, or any other colour, is of course not a problem. Now we come to the connoisseur’s part of this watch, being the movement. First of all the finishing and composition of the movement. 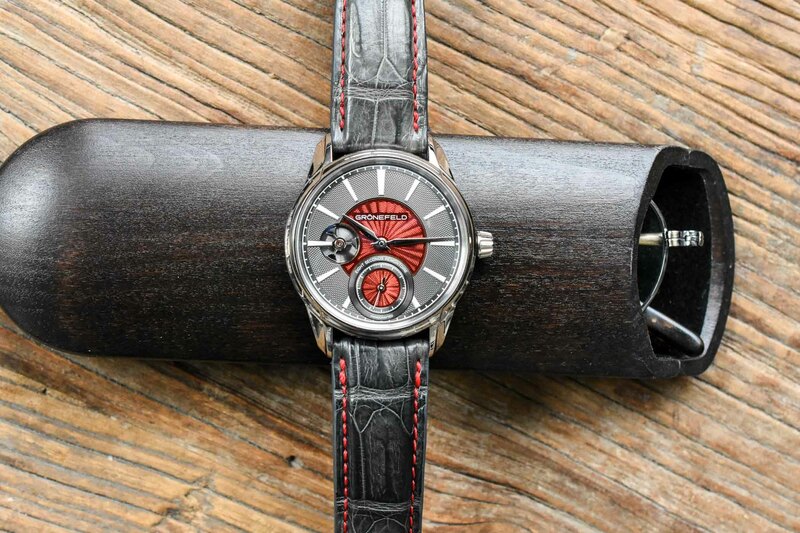 The bridges are, unlike any other watch, executed in stainless steel. 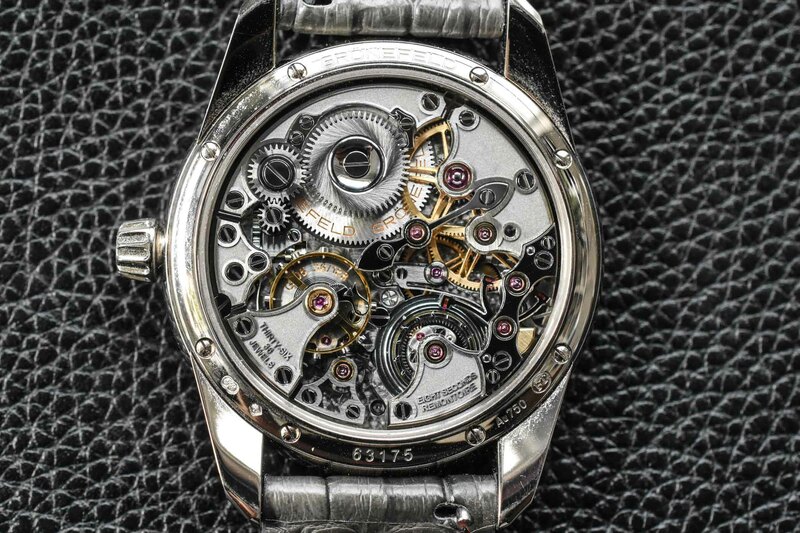 Steel is much tougher than the usual brass or German Silver bridges that you can find on any other watch. This means more difficult to machine and finish, and that also means it costs (much) more time, and drills and other tools wear out much faster. This also means more costs in terms of labour and tools. On the other hand, the result is just stunning! Smoothening of the bevels with a finer grain emery paper. This is just for one bridge, and depending on the complexity of the bridge they spend about 6 to 10 hours for decorating and assembling one single bridge. There are four bridges with a blasted inner part and gold chaton, and two lovely black-polished bridges with gold chatons. There are also two more steel bridges without a gold chaton and one relatively small bridge for the escape wheel. And let’s not forget the many double-spoke wheels (they remind of nice alloy wheels on a tuned car), the triple-arm anchor and many more steel parts that are finished to perfection. Enough talk, enjoy these photos. 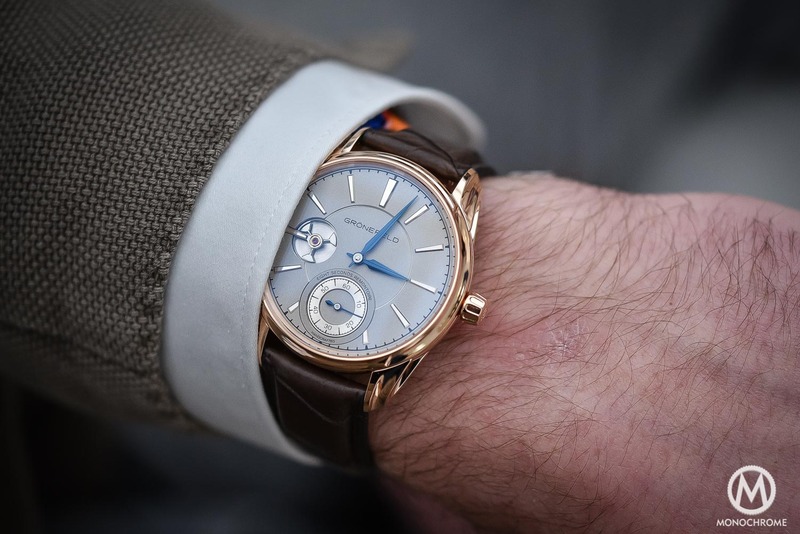 On the wrist, the Grönefeld 1941 Remontoire wears very comfortably and its legibility is great. So far for the “practical consumer advice”. More importantly is that the Grönefelds do not cater to the average person who’s looking to buy a nice dress watch. 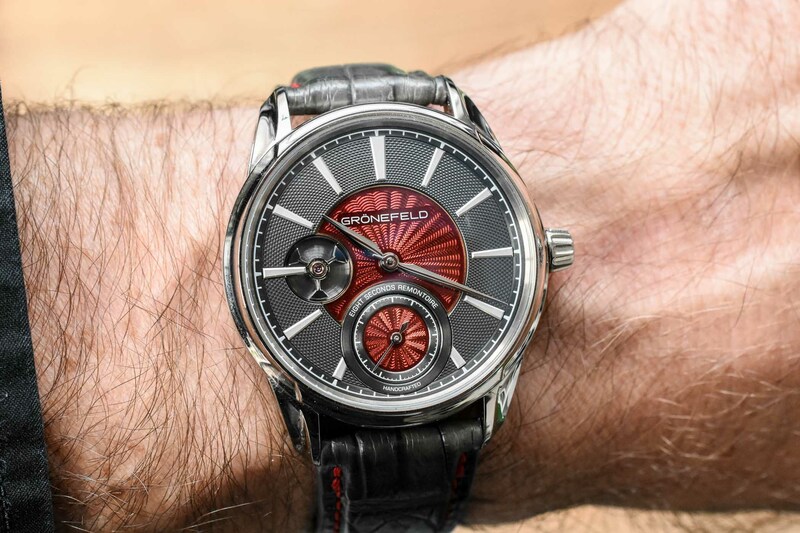 What they do is of another level, and meant for discerning watch lovers who understand the various complications, the level of artisanal craftsmanship and the painstaking hours of work that go into each watch that comes from the Grönefeld atelier. 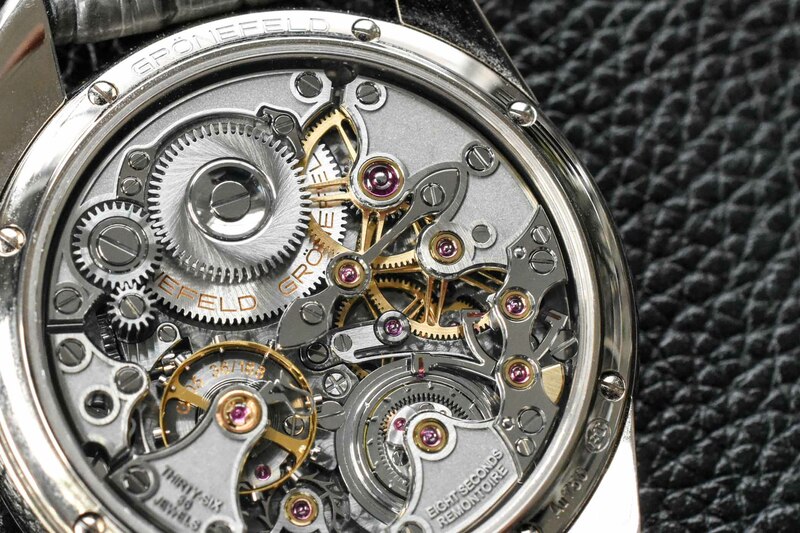 When looking for instance at the Grönefeld One Hertz, they choose a unique way to construct the deadbeat second complication. 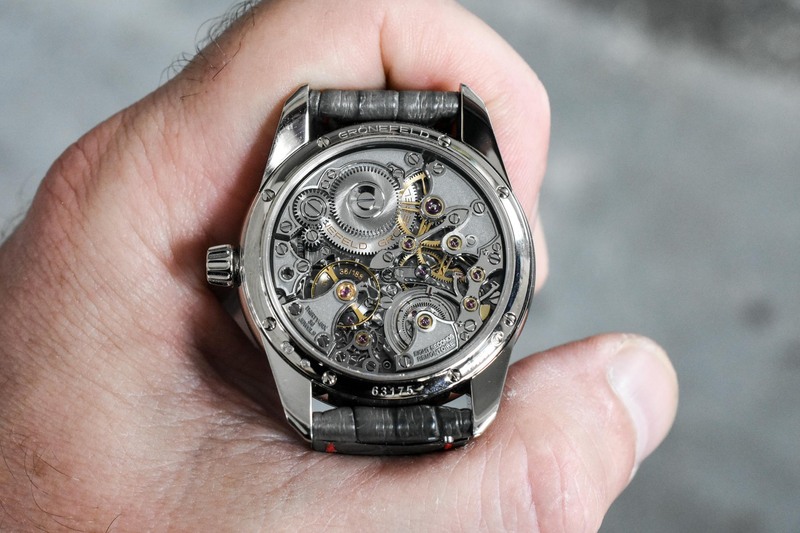 While this is already a pretty rare complication, the way they constructed it, it needs almost an expert-level of knowledge to fully appreciate the movement calibre G-02. 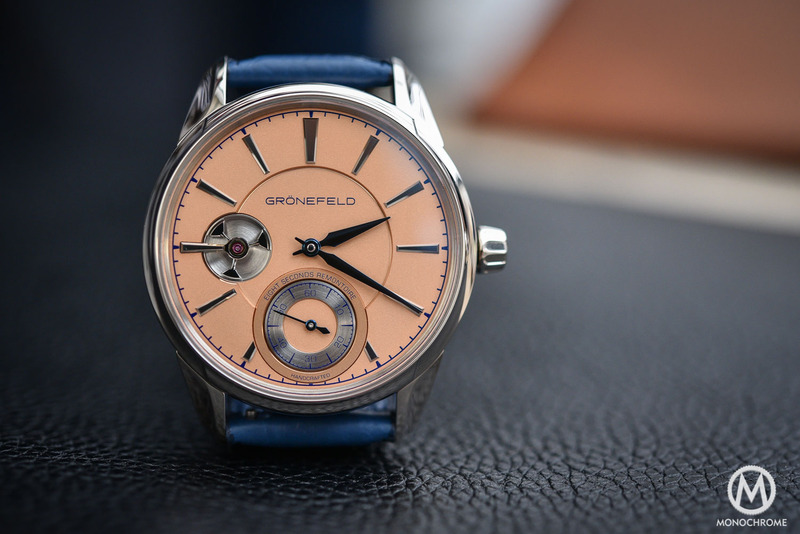 The same goes for the Grönefeld 1941 Remontoire, as they are certainly not the only watch brand to use a remontoire, they choose to do this in a rather particular way. 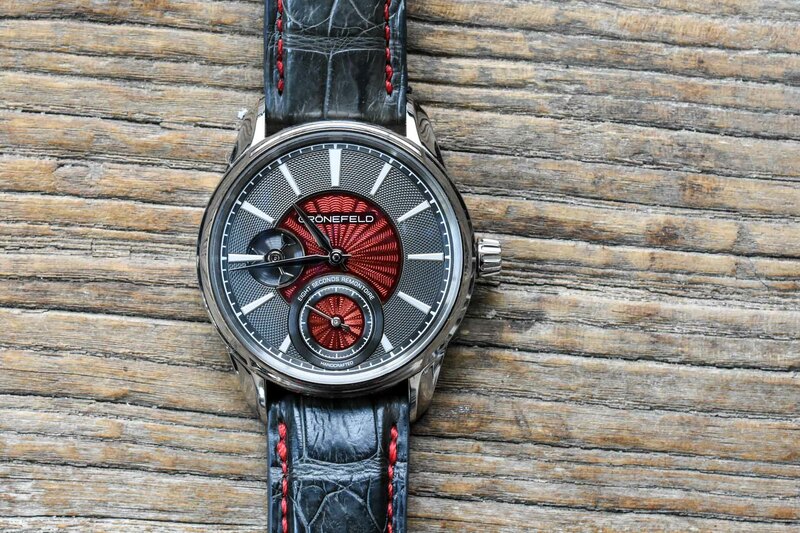 Combined with a governor, which they choose to expose on the dial side, it provides an incredibly stable power that is distributed to the escapement and thus providing a very stable isochronism. 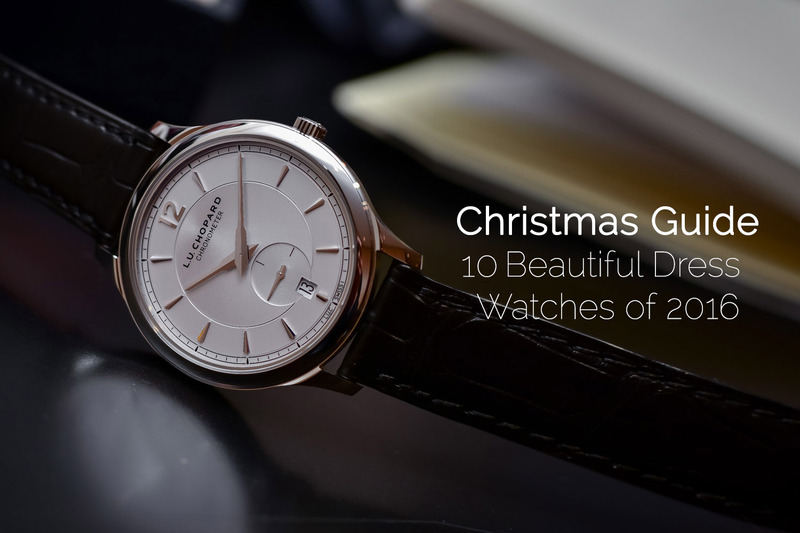 The 35-hour power reserve might not be to everyone’s liking, but hey, if you want a simple dress watch you might have a look at a nice Patek Calatrava or Lange 1815. The power is cut off after 35 hours, by means of a Geneva stop work (Maltese cross), also to ensure a perfectly stable isochronism. 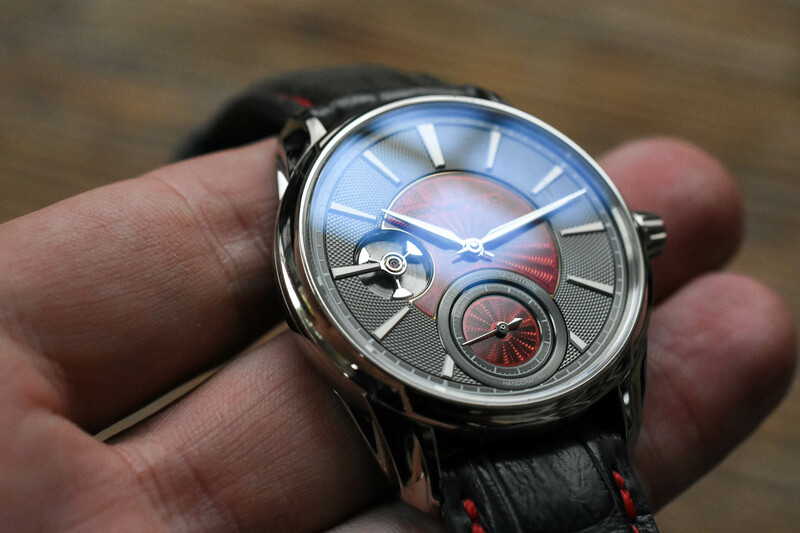 Precision is the focus of this entire watch, and by means of the Geneva stop work, the eight seconds remontoire and the governor this is achieved. 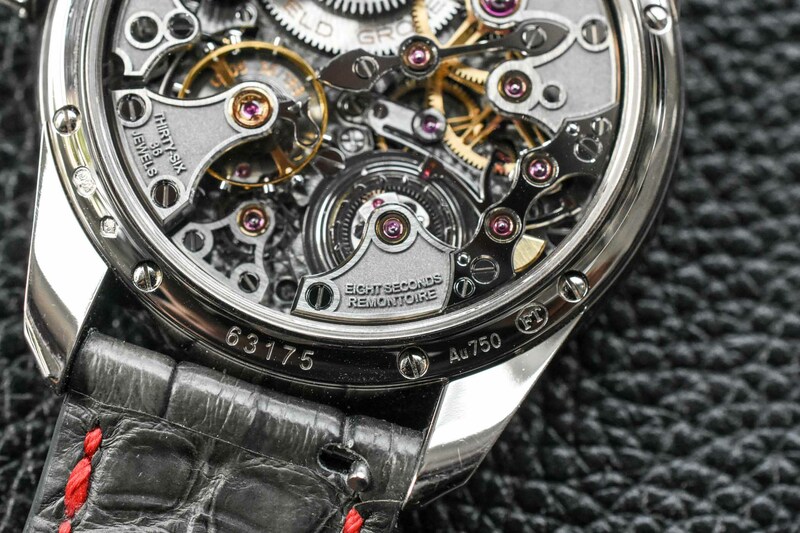 While it looks can please most discerning watch lovers, it’s technical feats are more focused on the connoisseur. I’m lucky to handle a steel one with a bespoke light blue guilloche dial(without enamel) few weeks ago. Absolutely stunning in every detail! I am immediately hooked on it and seriously considering to get one. 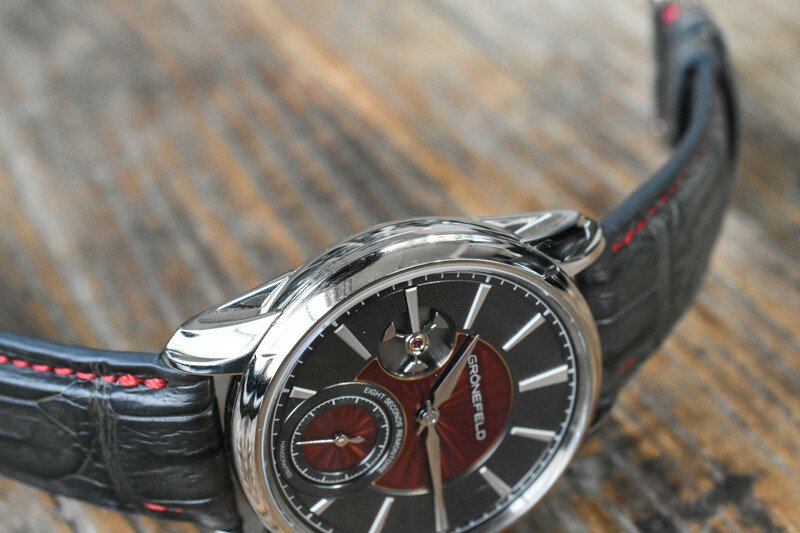 But in this price range, another great watch comes to my mind at the same time – the Credor Eichi II. Though they are very different in many ways, both of them show ultimate craftsmanship. What a big dilemma!